All of the below information comes directly from job reviews written by Thames Water employees based on 54 reviews. Do your background research on the company. A rounded knowledge of business is required despite being an operational role. Be prepared to work in a large company with a huge amount of people. Put in the hard work and you will be noticed. Don't send emails to someone you need an urgent response from, phone or go and see them face to face. Don't let nerves hold you back. You've put in all the hard work (graduated and got this far in the application process) so don't let nerves prevent you from succeeding. Be yourself in the interview/assessment day. Personality far outweighs robotic people. If you don't succeed in this application, try again. Know what we do and understand how we do it! Research the company - look up competition 2017 and what the future of the water industry holds. Also they are looking for future leaders - so prove to them your skills as a leader, doesn't have to be much - might just be a Saturday job but show them that you know the traits of a good leader. As above lots of questions around the company and leadership and giving an example of when I had to pull on my leadership skills to get something done or get to a goal or when I've had to deliver a team some bad news and how I went about this. Make sure you include information about things you have done outside of just academic work, societies and club involvement can help to set you apart. Just be yourself and tell the truth about why you want to apply - don't try to give answers that you think the interviewers want to hear as this will be obvious. Be flexible and prepared to work hard. Highlight your skills particularly in communication. Be clear about your goals and your expectations for your role otherwise you may find yourself in a role that does not suit you. Don't apply just for the sake of having a job. Thames Water can provide you with a fulfilling career provided you are clear about your aspirations. Don't just say what you think your interviewers will want to hear. Be yourself- TW are looking for real people not robots. Take your time in creating your application, learn about the general trends and challenges within the industry such as competition 2017. Be prepared for lots of responsibility. Understand the regulatory guidelines of the water industry. 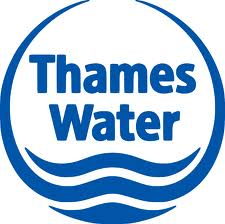 Be honest about your aspirations and Thames Water should be able to cater for them. Be yourself. Then if you are selected you know that you are suitable and that the recruiters do not have a false sense of who you are. Make reference to past experiences in management as the graduate programme is all about managing people and if you have (even minimal) experience they will see opportunity in you. Show a drive to develop as this is a key part of the graduate scheme and they want to ensure that you have self motivation and are willing to put in the work now to get further in the company - they realise you might not stay forever but they want to know you'll commit to working hard and show the values of the company. Show confidence, but don't be cocky. People here hate it! Why are you interested in the water sector? Having passion and enthusiasm to change is important. Working for an organisation in the utilities industry gives challenges that you might not see elsewhere. Let that passion show through and you will be right for the role. Come prepared, but importantly coming with the right characteristics is key. Be yourself, research the company well, avoid being too prescriptive in the type of role you want (be open and adaptable), demonstrate your people skills, demonstrate that you have a work/life balance. Think carefully about your own strengths and weaknesses when it comes to planning your time, organising others, and interacting with experienced people across the company. Is taking on a challenging role something you'd enjoy or struggle to adapt to? Go further than reading anecdotal journalism about the company and repeating news found on the company website. Instead, if you can demonstrate you've made the attempt to meet someone from the company and gather their insights, you'll be in a very strong position to relay your understanding back to your interviewer. As water & waste is a specific industry, you'll need to understand more than just the basic facts about the company and it's infrastructure. Some research into the processes behind water treatment would also pay off if you can demonstrate your knowledge at interview. Research the industry and company as much as possible. Research and prepare as much as you can beforehand. Understanding the companies challenges and values will put you in good stead for the interview questions asked at the assessment centre. Understand the industry and the challenges that we currently face, not just the company. Understand regulation and in the future de-regulation. - Prepare to be challenged. - Prepare to work in a variety of roles. Prepare, do your research and practice presentation with friends beforehand and get feedback. The application process is long and at some points hard work however it's worth it in the end. The fact that the application process is a long process shows how valued the graduate scheme as they want to make sure that the right people get the job. Play the game to get through telephone interviews/recorded interviews etc. If you get to the assessment centre enjoy it and make sure you have done your research into Thames and the water sector. What do you know about Thames Water? Be prepared to work with difficult people and people who are very very different to you. Don't leave the application to the last minute, the graduate scheme application process is detailed and lengthy- but worth it. Provide examples and details whenever possible as it will provide the company with greater insight into your skills and experience. Research the company, the industry and your area of application well. The questions will address these ares, so the more you know, the better. Make sure you are interested in continously improving. Thames supports candidates that want to learn and improve. Do not be worried, the intervewers are asking questions to get the best from you, not to trip you up. Also rember you are interviewing the company to see if they are right for you. So have your questions ready! Know the industry you are applying to and what makes Thames Water different to the other water companies. Show that one of the reasons why Thames Water is different/good is something you're interested in. Give examples to show that you can think on your feet, work well in a team and can manage people. Be up to date with the big changes that have just happened or are happening in the business. Understand the role of OFWAT with the water companies and have an idea of the current state of affairs in the water industry. Realise that Customer Service and Health and Safety are the two main concerns of the company and understand how they are measured and how they are looking to improve them. Show an interest in renewable energy production and know what Thames Water currently do in this area. Have an idea of the main projects that are underway or looking to be started in AMP 6. Having very, very basic process knowledge (how the network / water treatment works / sewage treatment works work) would help. Don't rush your application, make sure you are answering the questions specifically. I think it is important to be explicit about what you have done and achieved, make sure someone doesn't have to read between the lines. Thames Water care about you as a person, it will not be enough to simply say what you have achieved in the professional world, be creative, use examples that others may not have and remember...sell yourself, if you don't sell yourself here you may never get the chance to do it in person. Do your research, don't leave it to chance. You may not be asked every single detail but being in the position where you are comfortable to be asked anything is great. The interview process is rigid so make sure you know why you want to work for Thames Water, they are spending a lot of time and money firstly on recruitment and then developing you, make sure you are making the right decision as well. The application process for the Graduate Scheme can seem very long, with lots of stages, but dont feel disheartened, its worth it in the end! Accept the fact that the team you're managing know a lot more about the role than you do. They have a vast amount of knowledge, and utilise this to help you. The assessment process was very intense - from creating short films, to webcam interviews, as well as the standard phone interviews and psychometic testing. The assessment centre focused a lot on competancies. Make sure you know about the water industry, Thames's History, and why you want to work for them in particular. Its a long process so stick with it. You have to work hard to get on to the scheme so its good if you have things that make you stand out...for me this includes showing some personality throughout the application process. Find out some specific, and desirably, unique facts about the company and come armed with some questions which show you have gone beyond others in your research. Dont try and hide your personality, admitting your weaknesses is a strength in my eyes...you just have to go about it in the right way. As above but if you are able to document a genuine passion for the Water Industry this also helps. It is also easy to tell who has prepared and this is far more impresive than turning up and trying to wing it! Be fully aware of the role you are applying for and wish to go into. Be prepared to be flexible in what you want from the company in terms of your role and job location. 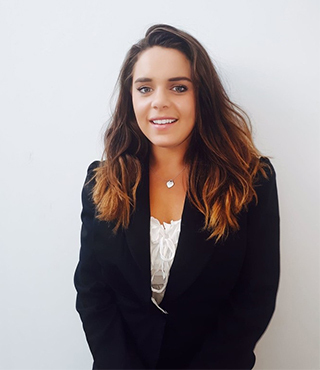 The beauty of the grad scheme is the opportunity to learn a lot within a small period of time and to move around, however this can mean being placed in roles you have little interest in and in remote and/or industrial locations. Fundamentally, be sure this is what you want to do before applying. Ensure you are willing to travel / have a car as it is expected that you will travel across a large patch. Role can be challenging at times with difficult interactions but ultimately good experience. Tested more on technical knowledge, i.e processes in water / sewage treatment than the industry itself which I found surprising. Also have a basic knowledge of health and safety. Research everything you can about the water industry. Be confident and well prepared. Do thorough research on Thames before applying. Your chance of success at interview will skyrocket if you take the time to contact someone working in the organisation beforehand. Make sure that you're a well rounded candidate with lots of real world experiences and skills, and be prepared for hard work and a quick pace of change! Be honest about what you want out of it and push for positions you believe you are best suited to. Be challenging,have insightful questions lined up. Consider innovative solutions and times you have been forward thinking or creative. Research the company and industry well. The people who work for Thames Water have a passion for what they do and they want to recruit people who can see the importance of the work that they do. Do not be afraid to say what you think and bring a fresh perspective with a team mindset. Have an idea of where you would like to be within Thames Water in 3-5 years team as well as long term goals. Research the regulatory landscape and challenges that Thames Water have faced in the past year. Show enthusiasm and a passion to be a part of Thames. Be yourself and make sure you have thoroughly researched the buisness and the challenges it is set to face prior to your application. Do your homework prior to interview on the buisness, some of the key processes and the main challenges the buisness faces in the future. Relax as much as you can in the interview and take your time when answering questions. Make sure you answer the question asked, don't just splurge out random research you have done. Thames Water does much more than just deliver a water supply! Research the company and be open minded about the opportunities on offer. Be very clear that often the role involves people management to start with but there are opportunities to develop in other areas if you have a good attitude and determination to succeed. If you choose to go down the technical route there is support from the company for Professional Qualification. How do you work as part of a team? This is very important as it is showing that you are adaptable, flexible and willing to get stuck in. There is a huge variety of roles within the company. Ask about mentors, future progression and development. Don't be afraid to ask more about the roles on offer to make sure it is right for you. Be clear and concise - most of all...Be honest! Just be yourself - Thames water look for those individuals who will be a good fit. They are not looking for who is the best at the current time but those who have the potential in the future to learn and devlop to be great leaders. Make sure that you display your genuine self, as you will be quickly found out if not. Do your research, the water industry is highly complex and you will be asked questions. Experience is good when taking part in the competency interviews- use this to best demonstrate your understanding. The business is extremely reactive and therefore resilience is an important quality to emphasize. Other focuses include Health and Safety and Customer Service. Candidates will need to understand regulatory environment in which the business operates. See above - focus on H&S and customer service. Make sure you chose the right programme - operations graduates are likely to end up as a team manager on an operational site, whereas other areas are more likely to end up in roles with project management responsibilities rather than a team. Make sure you have researched the water industry in general, and know about the water cycle, what the company actually does (water treatment and distribution, and wastewater collection and treatment). It's probably also worth knowing about significant changes in the water industry over the coming years (ie. the introduction of full commercial customer competition) and the big challenges the company is likely to face in the near future.